Haringey residents will have the chance this week to send greetings cards to people at risk around the world. An event, held jointly by Haringey Green Party and Hornsey and Wood Green Amnesty International will take place on Sunday, 11th December, 2pm ‘till 5pm, at Hornsey Vale Community Centre, Mayfield Road, Stroud Green. It is the fourth consecutive year the event has been held here, with residents signing no fewer than 482 cards in one afternoon last December. The event is part of Amnesty International’s annual Greetings Card Campaign. This campaign puts people across the world in touch with each other in a simple way – by sending a card with a friendly greeting or message of solidarity to someone who is in danger or unjustly imprisoned. The recipients of the cards are prisoners of conscience, people under sentence of death, human rights defenders under threat because of their work, and others at risk. One of the people Amnesty have asked signers to send cards to this year is Filep Karma of Indonesia who was arrested in 2004 after taking part in a peaceful ceremony. He was sentenced to 15 years in prison for 'rebellion'. The very act of sending these cards offers hope and encouragement to the people who receive them. It can also help bring about change - the impression their international mail makes on police, prison staff or political authorities can help keep these individuals safe. Participants will be offered homemade Christmas cake and mince pies. 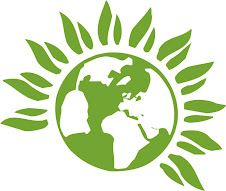 Green Party London Mayoral candidate and London Assembly member Jenny Jones will be in attendance, signing cards alongside residents. After the Christmas card writing there will be Community Carol Singing in Stationer's Park, next to the community centre from 5pm, run by the Friends of Stationer's Park. Why don't the Green Party go after the Migrant vote all over the whole country. That will make a statement to The Lib,Lab,Con party's in this General Election. Those votes are there for the taking. Get them before main party's, do.